Maryland's 12th Rarity Roundup. Last updated: 11/14/2011. Above: The Rarity Roundup comes through with one of the most precisely executed chases in Maryland rarities. This rare White-winged Dove was found by Debbie Terry, Bob Ringler, and Scott Housten, and chased by most of the Rarity Roundup participants within minutes. The communications network was so fast that as the Assateague parties left the island, we were in a caravan of nine cars. 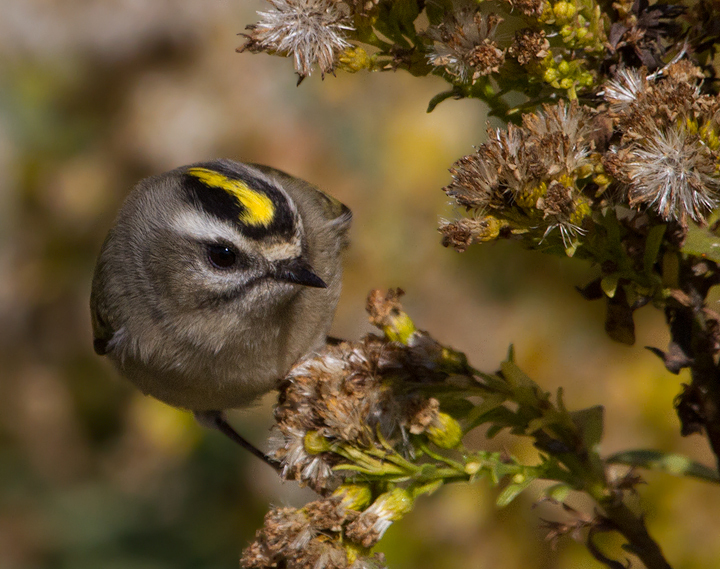 This is a classic example of the powerful effects of modern technology on birding. This is only the third Worcester Co. record and about Maryland's 10th record since our first in 1970. 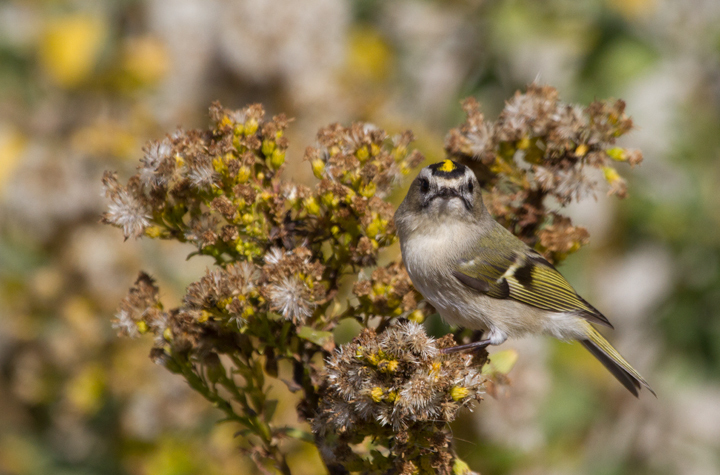 It was a county bird for even Mark Hoffman. 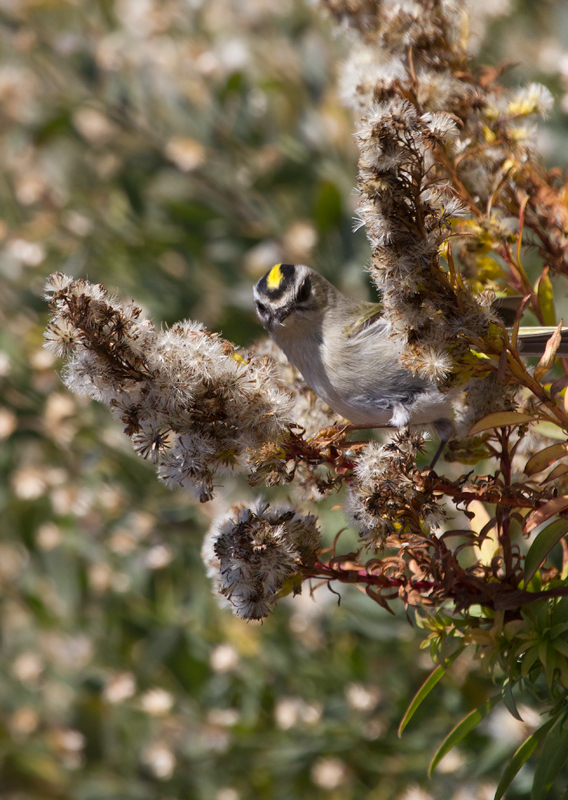 Jim Stasz found and photographed his own at Truitt's Landing in August 2008. 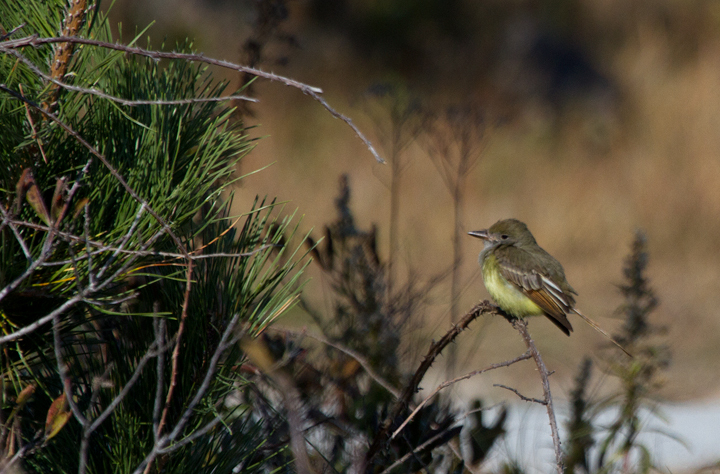 Above and below: A juvenile Great Crested Flycatcher was our best find on Assateague Island (11/13/2011). 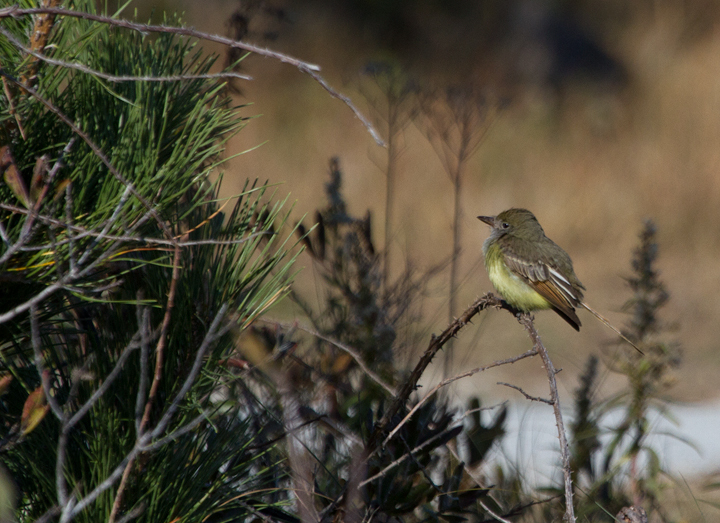 This first November record for Worcester Co. was many times over less likely than an Ash-throated Flycatcher. 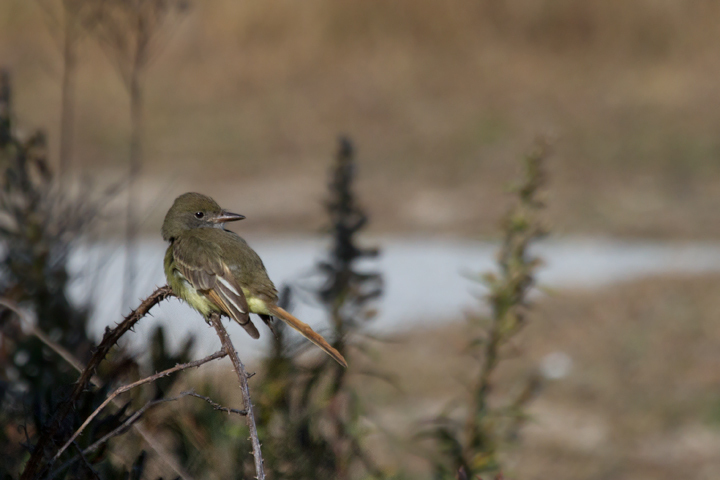 Nearly all of our Great Crested Flycatchers depart by October, and any November Myiarchus is much more likely to be a western vagrant Ash-throated. 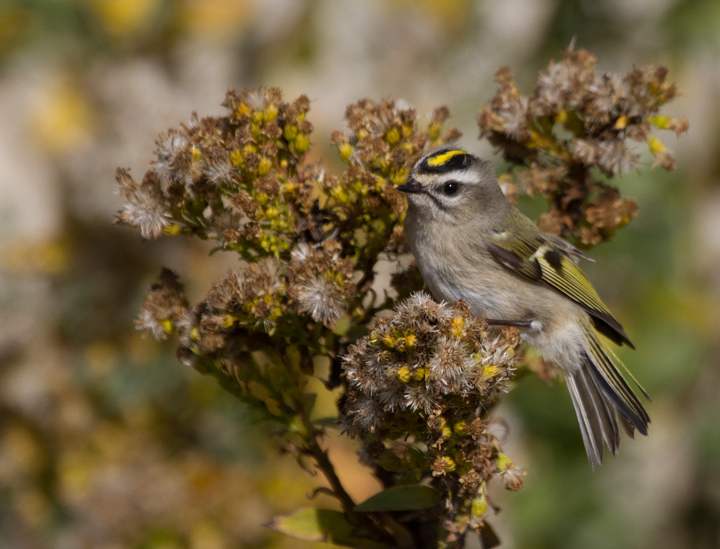 It was spotted by Kevin Graff and carefully identified by our team in the state park. 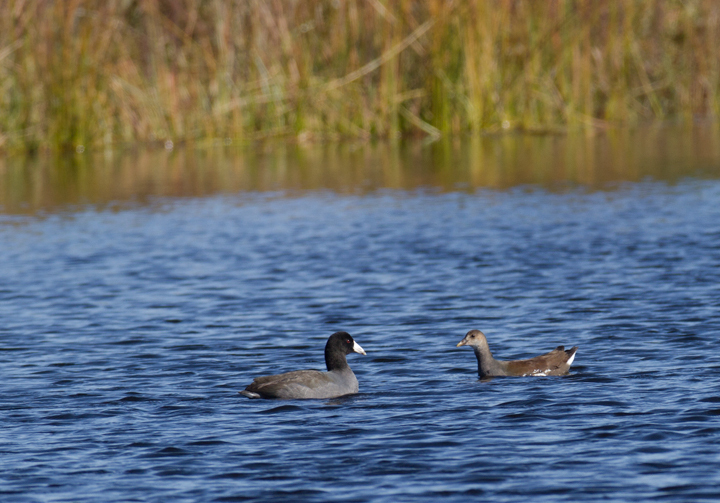 It eventually confirmed our impression of field marks with three diagnostic "Weeeep!" calls. It was successfully chased by the Assateague and Route 611 parties. Incredible! 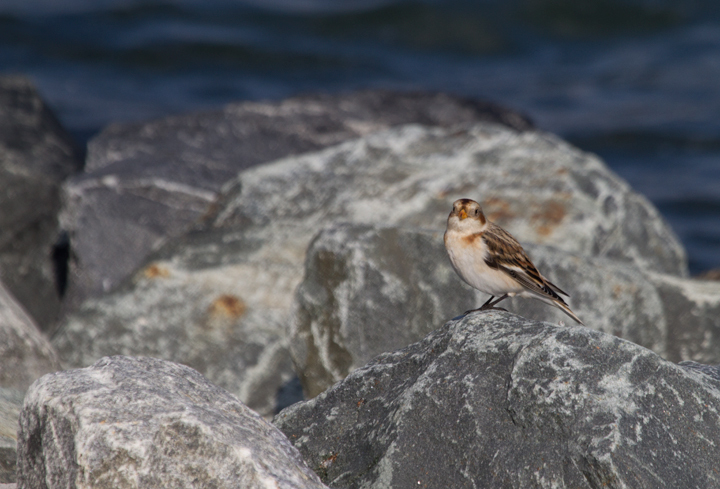 Below: A Snow Bunting at the Assateague Island Causeway (11/11/2011). 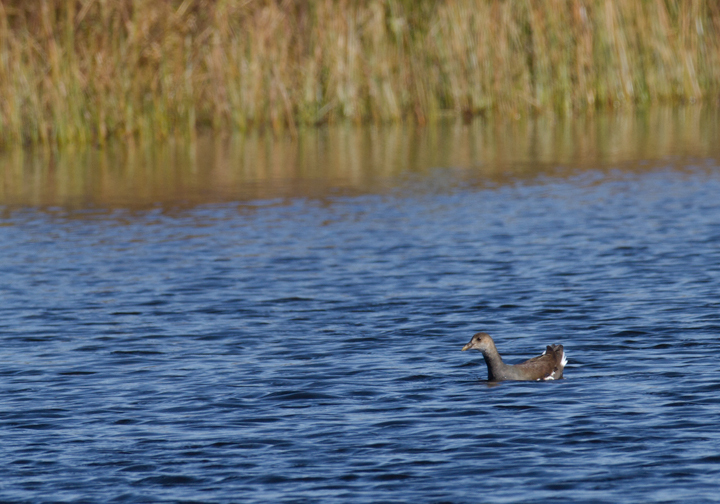 Below: An immature Common Gallinule (until recently Common Moorhen) at the Rum Pointe Golf Course, Worcester Co., Maryland (11/11/2011). Continuing since found by Jim Stasz and Company a couple weeks ago. 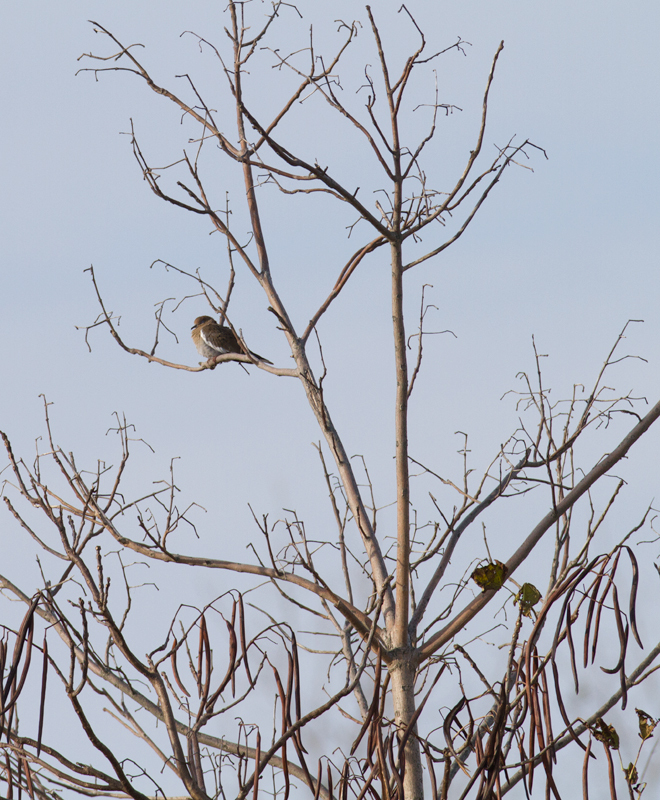 They appear to have departed later this day, as they were not seen on 11/12 or 11/13. 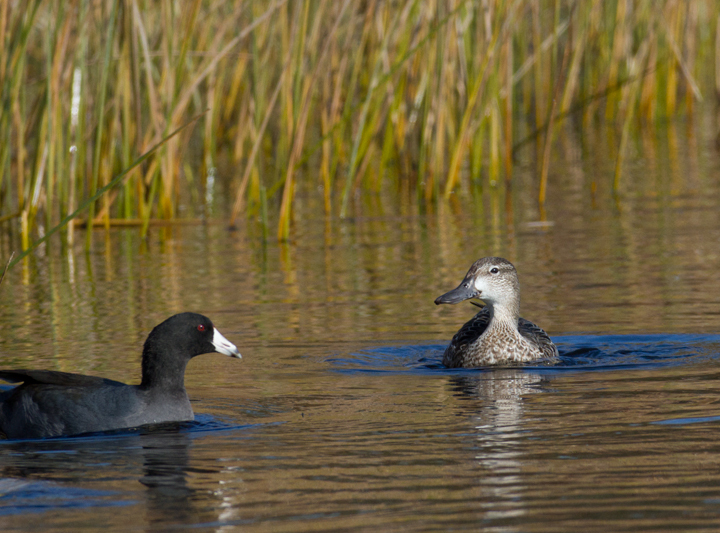 Below: An immature Common Gallinule with an American Coot at the Rum Pointe Golf Course (11/11/2011). 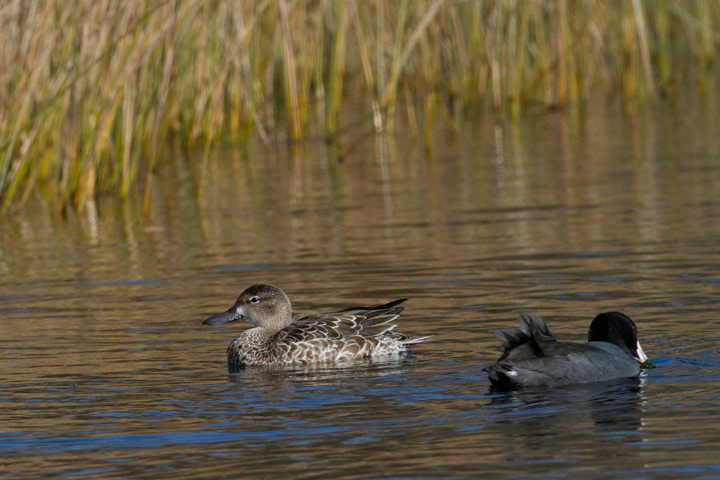 Below: A lingering Blue-winged Teal at the Rum Pointe Golf Course, Worcester Co., Maryland (11/11/2011). 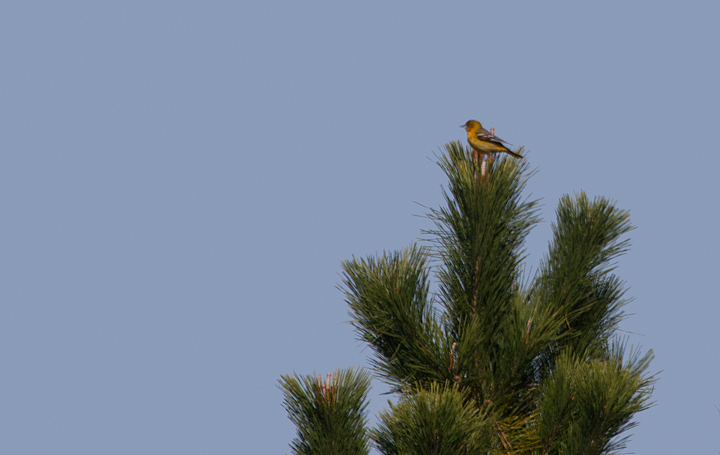 Below: A Baltimore Oriole at Assateague State Park, spotted by Mikey while chasing the Great Crested Flycatcher (11/12/2011). 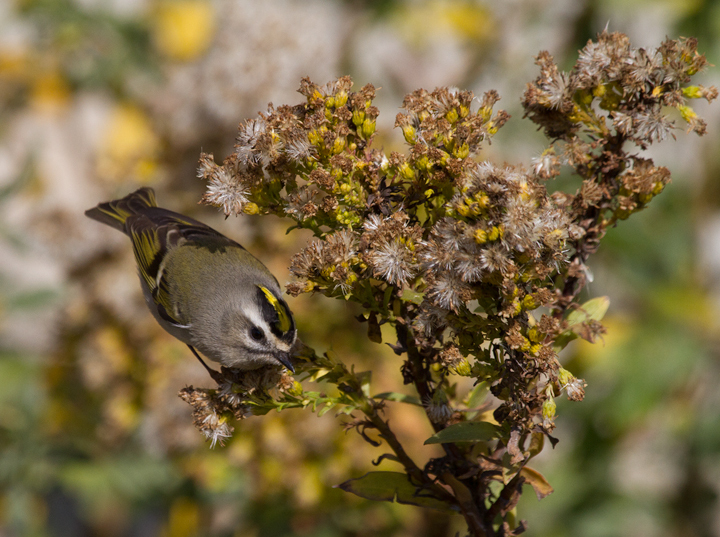 Below: Golden-crowned Kinglets were generally uncommon across Worcester Co. this year, but those we found on the island were primarily feeding in the Seaside Goldenrod in the dunes. 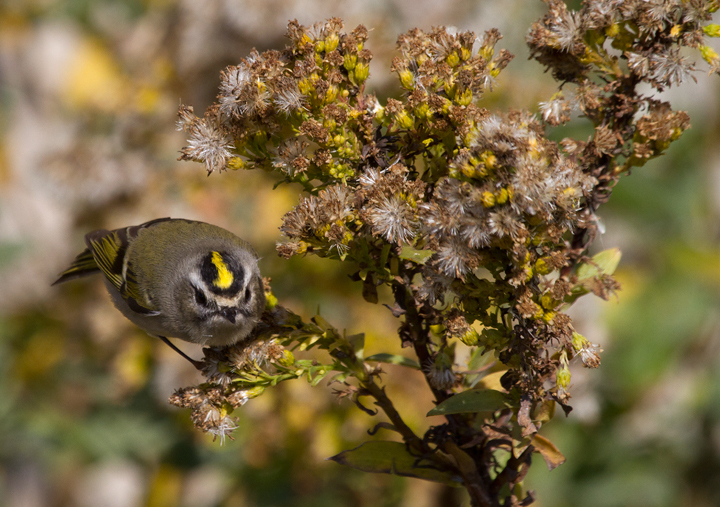 There was a bathhouse that was lined on both sides with goldenrod, and if you spooked them from one side, they would fly through a grate and through the crawlspace under the raised building to the other side. 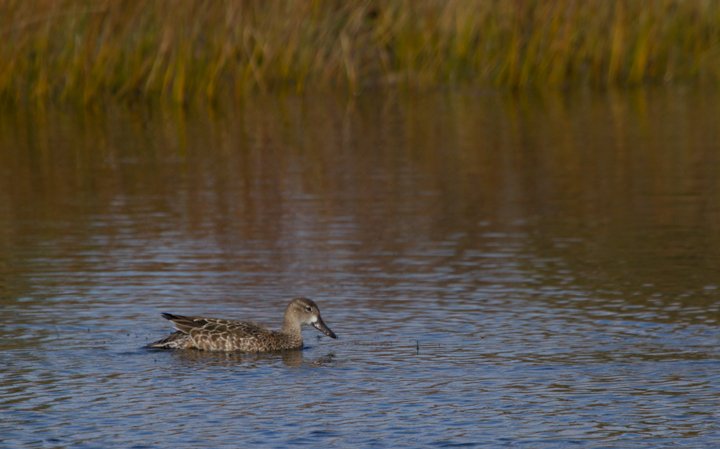 (Assateague, 11/12/2011). 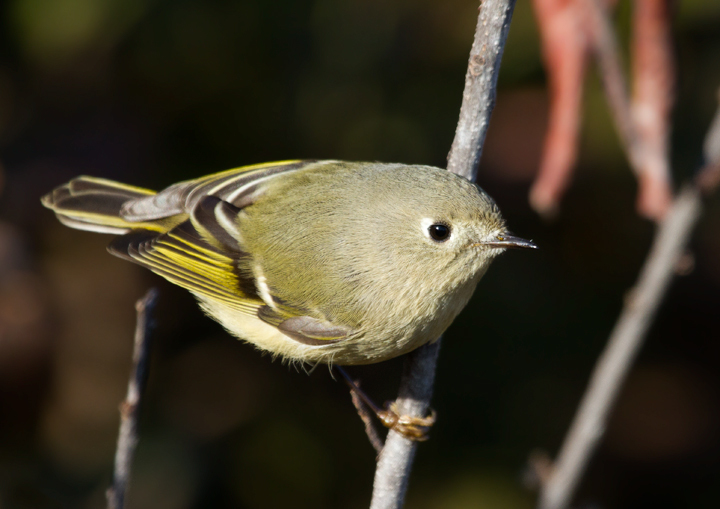 Below: Ruby-crowned Kinglets are abundant in migration but often rather thin during the Rarity Roundup in Maryland (11/12/2011). 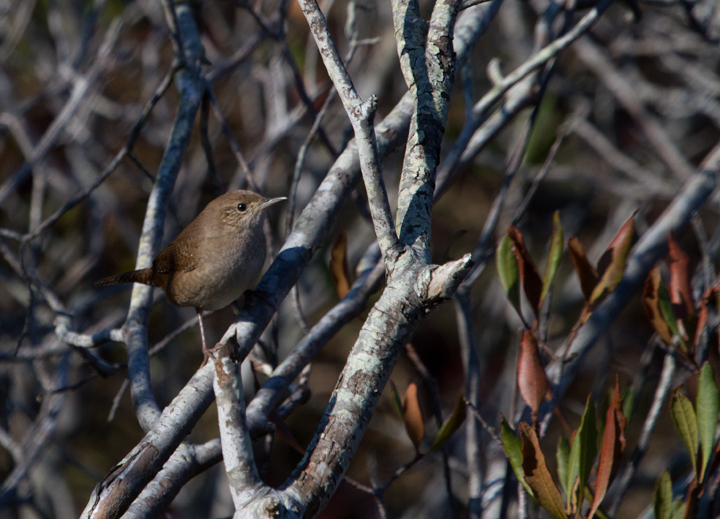 Below: House Wrens are an uncommon wintering species on the coast, but we had better than average numbers this year. 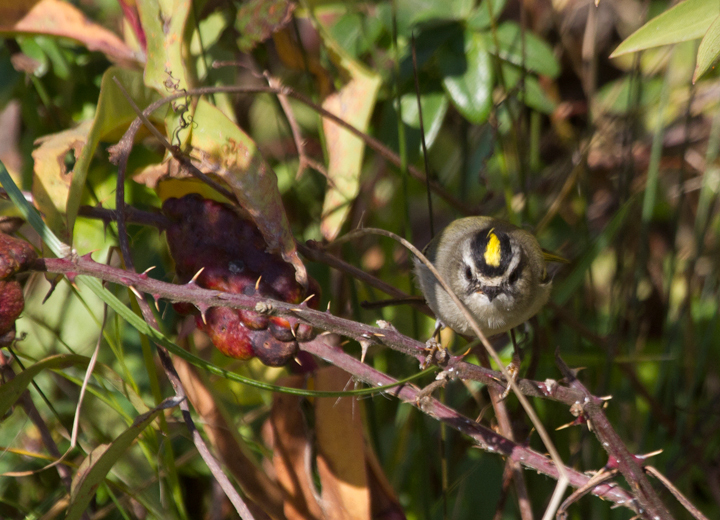 This one was photographed in the scrub at the southern end of Assateague SP (11/12/2011). 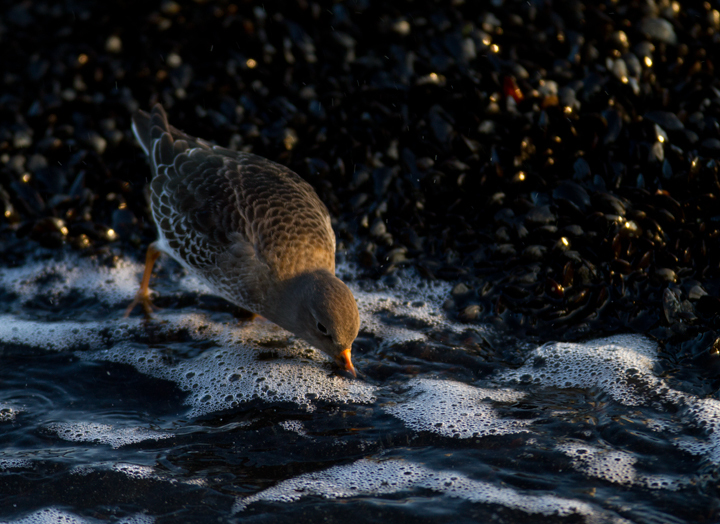 Below: A Purple Sandpiper at dusk at the Ocean City Inlet, Maryland (11/11/2011). 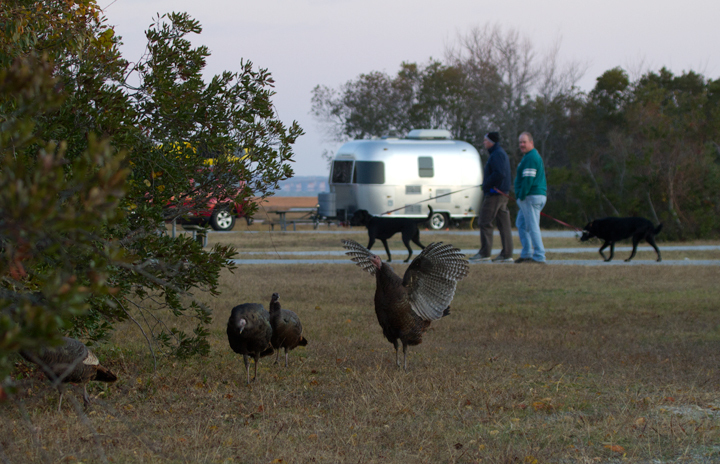 Below: Wild Turkeys are a rather new phenomenon on Assateague Island. 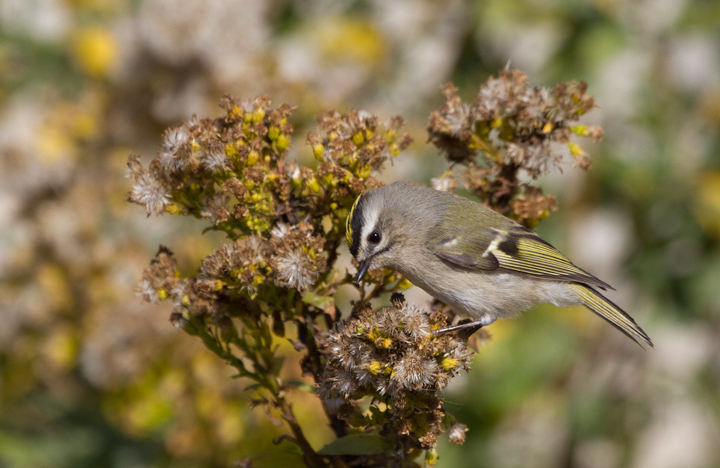 At last year's Rarity Roundup, we were fairly shocked to hear that Tom Feild and Jim Moore had found feathers on the north end of the island. One year later, Scott Housten has seen them about 10-12 times in this area, as have a number of others now (including several this weekend). 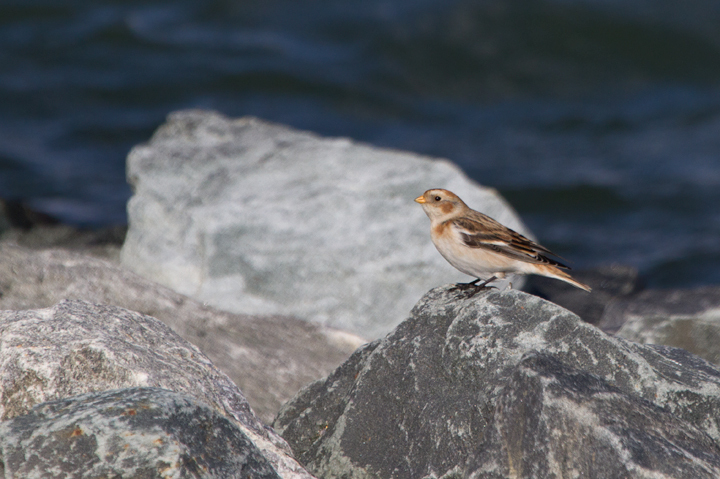 This was my first sighting of them on the island, so a new Assateague bird for me. 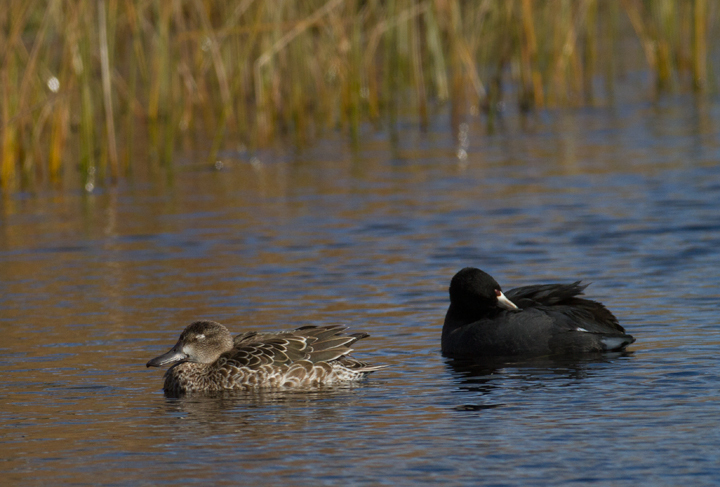 I spotted these five at dawn across from Life of the Marsh in Bayside Campground (11/11/2011).